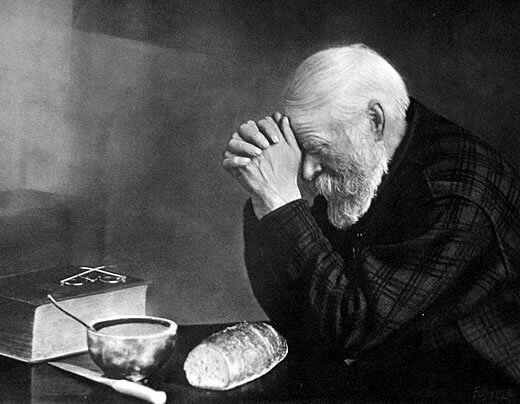 This photograph, known as ‘Grace,’ was taken in 1918. Eric had long embraced its meaning, leading his family in grace before every meal. His third-born, Warren, tagged along on fishing trips and photo shoots of Minne­sota’s Scenic State Park. Warren watched his dad shoot panoramas, turning a slow circle that seemed to sweep in every detail. Warren went on to work as a ­construction superintendent, and throughout his life, “Grace” was never far from him. His wife embroidered the image. “She won first prize in that category at the Texas State Fair,” he boasted. Today, Warren is 95, one of five or six residents at Juliette Fowler Homes in Dallas who hung a “Grace” portrait in his apartment to make it feel like home. Recently, we experienced our first snow of the season. I woke and grabbed my camera, shooting the old oak that had been made new. Friends exercised the same impulse, blogging in their pajamas. Deep down we understood what Pope John Paul II wrote to artists, that beauty is “an invitation to savor life and to dream of the future.” The holidays can be dizzying, but we have the ability to press pause, to wade through scattered wrapping paper, grab a camera and process the world through its grateful lens. Christina Capecchi is a freelance writer from Inver Grove Heights. Con­tact her at Christina@ReadChristina.com. « What are kids praying for this Christmas?